For nearly half of a century, Packaging Design Corporation has been one of the leading manufacturers of custom branded packaging, custom branded industrial packaging, custom branded point of purchase displays, powerwing displays, and more. At Packaging Design Corporation, we examine the entire production process in order to reduce your overall production costs and increase your plant’s efficiency. Our experienced design team has access to state of the art manufacturing capabilities which allows us to design and manufacture high quality retail packages and displays. With a visually appealing display, you can position your product at the store level in a manner that will draw attention and get results. 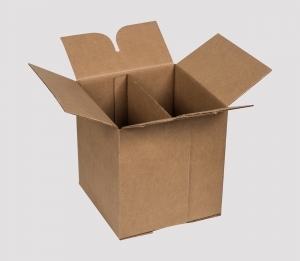 If you have any questions about our industrial packaging services or if you would like full details regarding our many other products and services, feel free to give us a call today at 630-323-1354. You can also get in contact with us by filling out the contact form located on this page and one of our knowledgeable associates will get back to you as soon as possible. After your product is completely manufactured, you are going to need some form of packaging to store, ship, and protect your goods. Protecting your products is of the utmost importance as delivered damaged goods can potentially cause harm to your company’s reputation. With packaging from Packaging Design, your packaging materials will be of the highest quality with a design that fits your product. When you partner with Packaging Design Corporation, we work with you to ensure that all of your design needs are met and so that we can better understand your brand to make sure that your marketing and branding messages are clear. For more information on our packaging and design services or if you have any questions about our other products and services and how they can benefit your products, call us at 630-323-1354 today. Or you can fill out the contact form on this page and we will respond shortly.